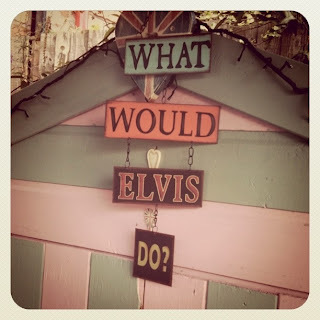 For my husbands birthday last week he was brought a great sign which read "What Would Elvis Do?" It looks rather splendid hanging on the shed and every time I look at it I smile. It got me to thinking what if applied this question to my own life. 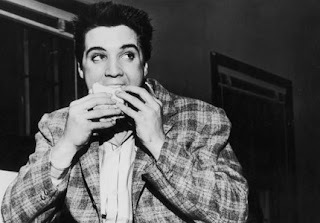 Would my decisions be better or worse if I channeled the King as I went about my daily business.Here are the results of my day behaving like the King of Rock n Roll. Its early, I'm tired. I need energy to get my little girl up and out for school. My usual breakfast consists of porridge made with soya milk and a green tea. As I start to prepare it I can't help thinking how nice a milky coffee with lots of sugar would be and actually those muffins look so much tastier than my boring oats. "What would Elvis do?" I ask myself. I think we all know the answer. I discard the healthy option and instead have the caffeine sugar binge. End result I'm slightly wired. I'm getting ready to take my daughter to school.Usually I just tie a bandanna around my head to hide my bed head, but wait a cotton picking minute "What would Elvis do?" With Elvis it was all about the hair so I give myself a quiff-perfect my sneer and we are off! I'm fabric shopping trying to get supplies for a batch of projects I need to do. I have quite a few things to remember and need to concentrate. Out of nowhere an over jolly sales assistant spying that I am buying padding for use in quilting launches into a thirty minute recruitment drive for her local quilting group. "What would Elvis do?" I ask. Well Elvis was legendary for his southern charm and his respect for elders (this woman must be at least two years older than me) so making like Arron I smile politely and hide my irritation. End result. I am made really late and forget half the things I needed. Home and busy working on an article. The phone rings, a friend wonders if I'm free for a catch up. Ordinarily I would say no but then ask "What would Elvis do? 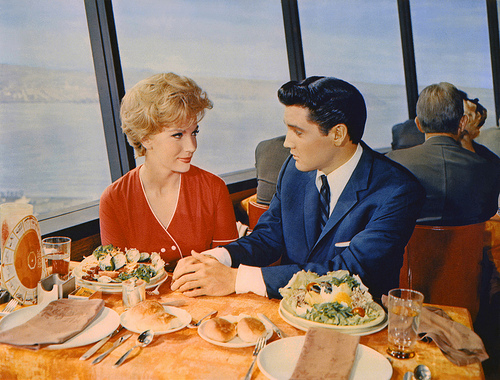 "well Elvis put great importance by his mates-calling them the Memphis mafia and even taking them on his honeymoon. So instead of declining I go and meet my friend. End result.I have the happy glow that only good company creates,but am also hideously behind now with my work. I'm in the garden, the sun is baking and I really should slap on my sun block and grab a big hat. 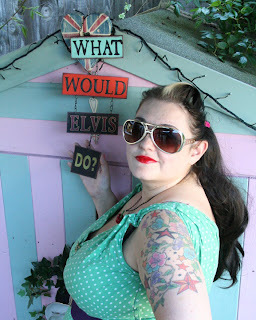 "What would Elvis do?" well apparently he was a huge sun worshiper and would lie with a reflector next to his face to ensure maximum exposure. I can't quite bear to let myself get fried so spray on a weedy factor 20 on instead. End result-I now have a sun burnt head. 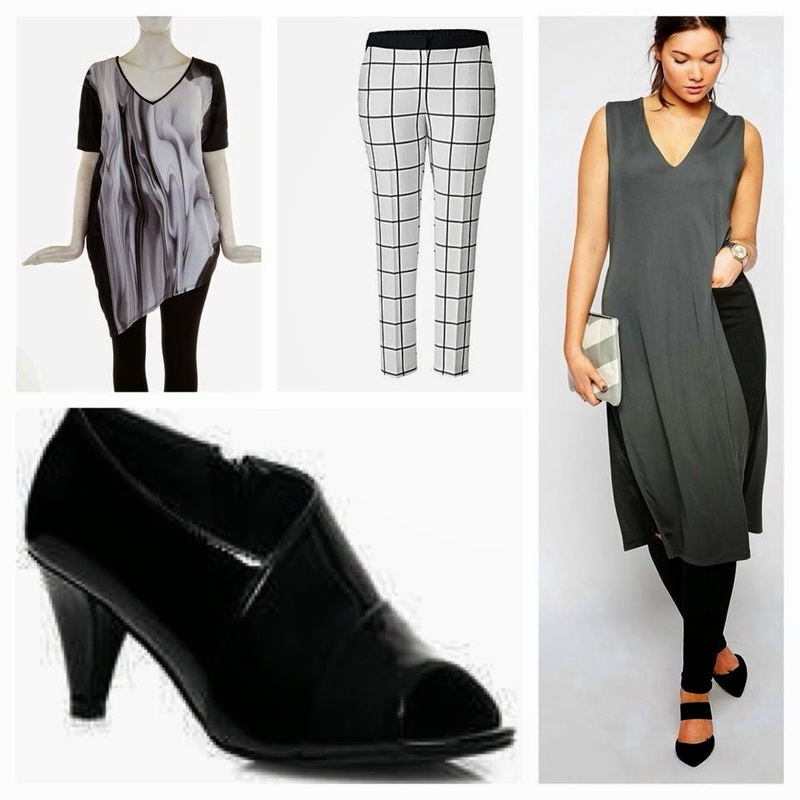 I collect my daughter from school and need to nip to the corner shop for milk. As usual she is putting the squeeze on me to buy her a magazine and an ice lolly and some stickers. 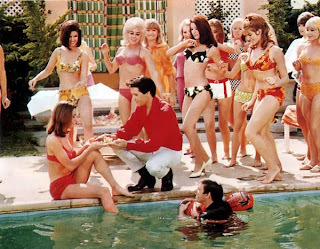 Usually I would laugh in the face of such demands but today is Elvis day. 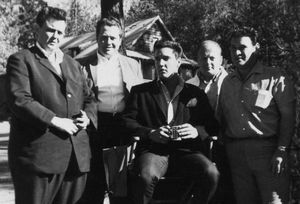 Elvis was legendary in his generosity to both his friends but especially his family. Lisa Marie had a mini Shetland pony at the same age as my little one so I relent and let her have the lot. Result-My child thinks I have gone mad and I'm £10 poorer. Its dinner time. I was going to make a lovely healthy stir fry but my daughter sensing that my defences are down is needling me to order pizza. "What would Elvis do?" I ask. Well as with breakfast this is a no brainer so Pizza it is. Result-Indigestion and a slightly hyper child. My head is pounding from coffee and junk food and I'm wondering whether to take a headache tablet. Well as a final nod to Elvis day I do. Never a man to skimp on his pharmaceuticals its seems just daft to start being restrained about two aspirin. 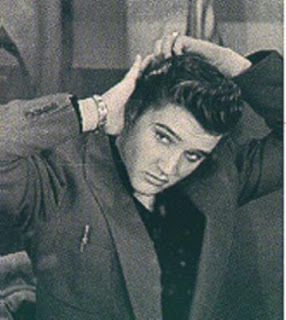 My day as Elvis made my waistline bigger, my pockets emptier and my work schedule fall it disarray. I loved spending unplanned time with my friend and I made my daughter very happy, oh and my own mother would have been very impressed by my patience with the chatterbox sales assistant. 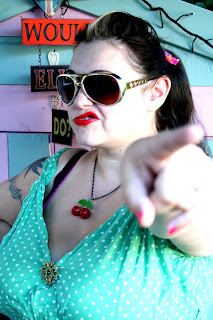 Will I be using Elvis as my moral compass again? hell no, I think I will just listen to the music from now on.